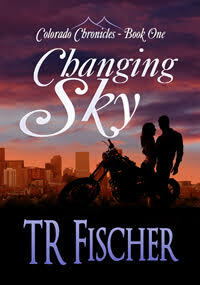 TR Fischer’s romantic suspense novel, Changing Sky (ISBNs: 9780996493604 Changing Sky – paper version (soft cover), 9780996493611 Changing Sky – Ebook, 322 pages, ages 13 and up), was released on July 2, 2015 by Renaissance Press. It is available on the author’s website, www.TRFischer.com where you can also get a sneak peek of the first two chapters. No longer a teacher, Skylar Biondi drives a truck and delivers packages. She closely guards the painful truth of how her romance with a Colorado Rockies pitcher ended. Skylar comes across nine-year-old Mia and knows she’s in peril. Former army medic Enrique Avalos is wary of Skylar, who resembles his ex-wife. When he sees her at night, he thinks she’s casing the neighborhood. Can Enrique and Skylar set their differences aside in time to help Mia? In this warm, sometimes heartbreaking tale, three people from different worlds embark on a journey none of them could have foreseen. About the Author: TR FISCHER grew up in and around Boulder, Colorado. After moving to California and sampling life in San Francisco, San Diego and Los Angeles, she and her husband returned to the Denver area. That didn’t satisfy, so the suburbanites pulled up stakes and began raising buffalo, along with their four rowdy children. Every day is an adventure, on and off the page.